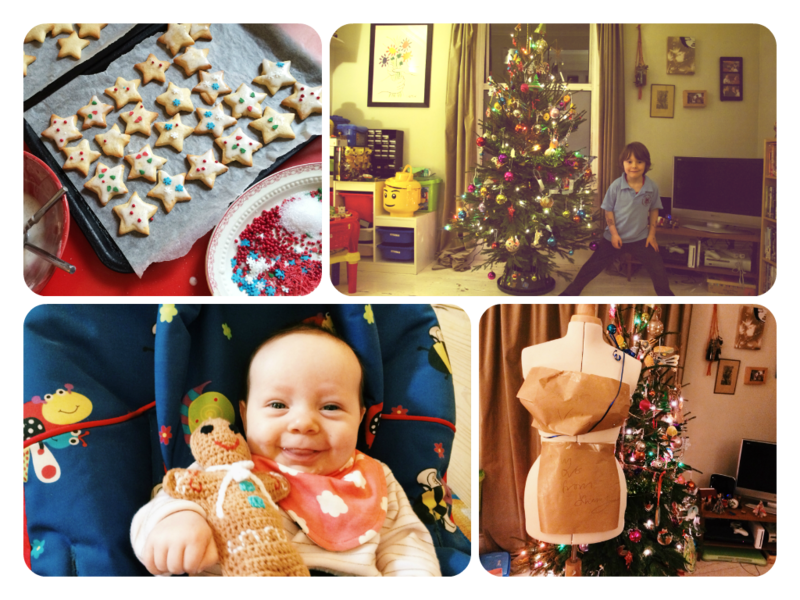 Hello and apologies for unexplained absences, you may have noticed Christmas happened and we all got a little lost and caught up in the mayhem that was nativities, gift buying, wrapping, tree decorating, baking and general fun and merriment. 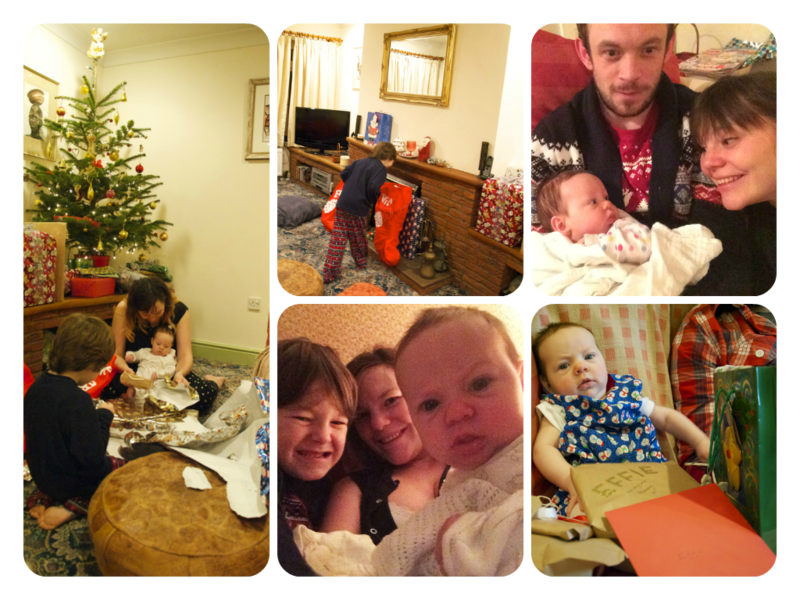 We had a fabulous festive season, Effie, though completely disinterested in the whole affair, I'm sure had as good a first Christmas as can be and Milo was positively spoilt as usual, but more importantly got to spend precious time with all his cousins, grandparents and great grandparents, the most wonderful part of Christmas. We headed up to Norfolk on Christmas eve, stopping at my Dad's on the way to my Mum's all the way up on the North Norfolk coast. 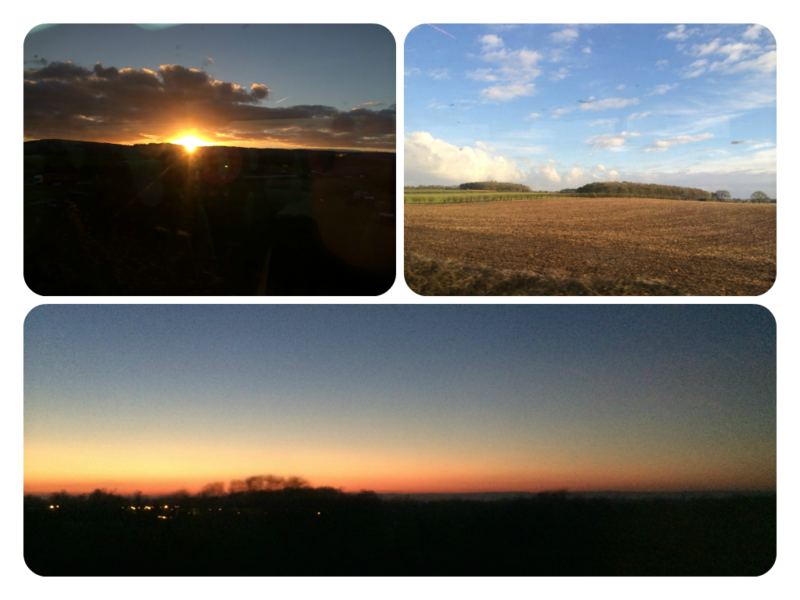 It was a long long journey, during which we witnessed both sunrise and sunset, but it was lovely to finally get to our destination and visit my Mum and step Dad's newly moved in to house. We spent both Christmas Day and Boxing Day with my Mum, before heading down to Cambridge on the 27th, where we had a couple of days visiting Johnny's family, before heading back home again on the 29th. It was a long trip and Effie found being away from home and her usual routine a little bit disturbing, meaning neither of us got very much sleep, but it was worth all those long hours on trains to be able to see so many of our family members over such a short space of time and be able to introduce Effie to those of whom she had yet to meet. 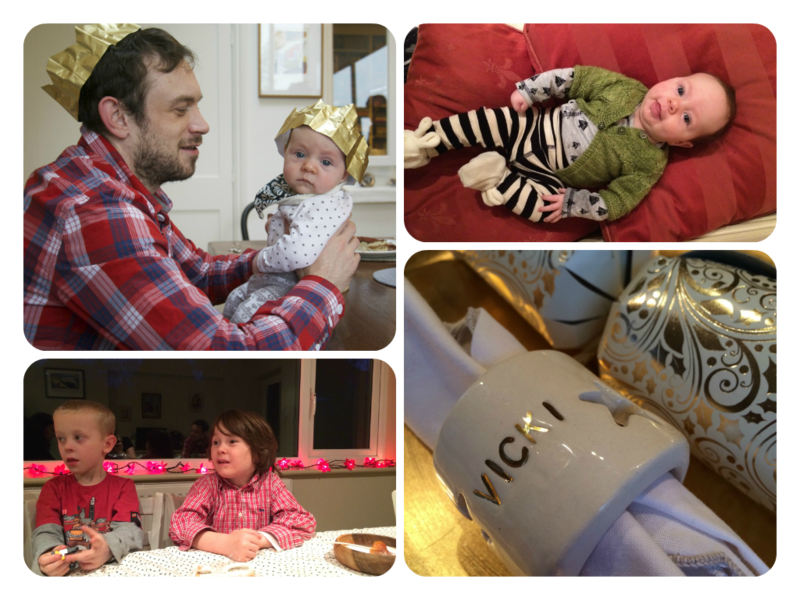 New year is a quiet event for us generally, when you have children it can't be much else really. 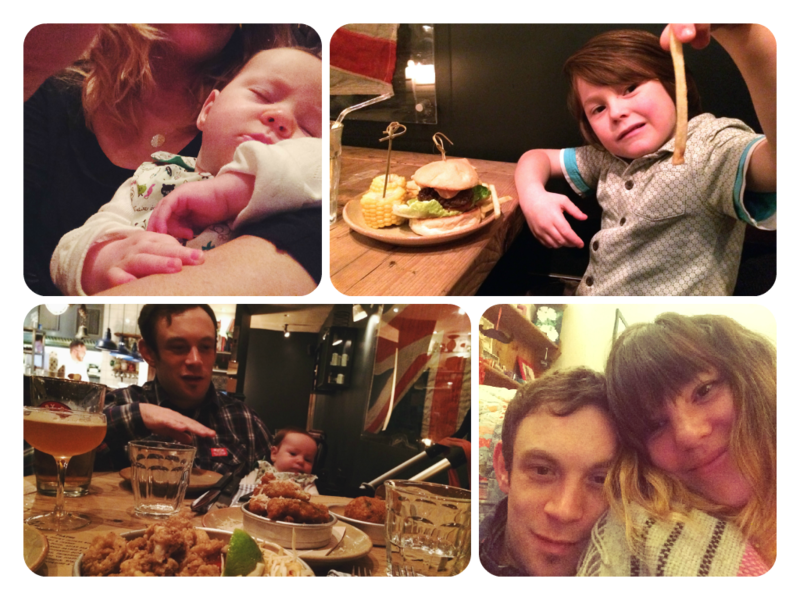 But the four of us headed out for an early dinner at one of our favourite Cheltenham restaurants, The Tavern, a newly found tradition. Once back home and baby's in bed we drank champagne and watched a little of the hootananny. Milo requested to be woken at midnight, but not only was he almost impossible to rouse, after finding too few fireworks to watch he declared; 'I didn't know it would be this stupid, I'm going back to bed'.